According to a statement from State House in Freetown, president Koroma left Freetown yesterday, with a large entourage of twenty staff, to attend the annual joint IMF – World Bank spring meeting in Washington, USA. 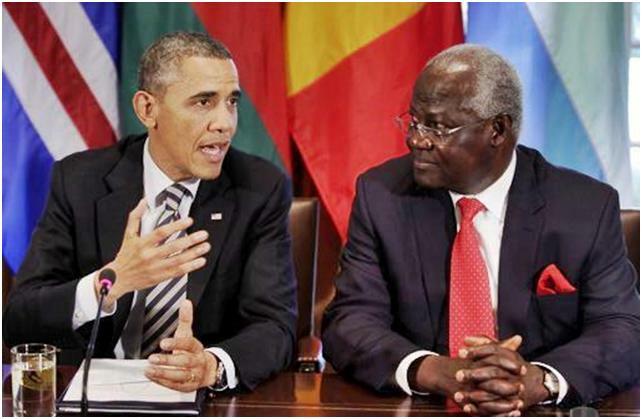 But president Koroma will not be meeting president Obama at the White House. Last month, president of Liberia – Helen Johnson Sirleaf, was Obama’s guest of honour at the White House – a symbol of what many regard as a reward for good governance in Liberia and her honesty in tackling the Ebola crisis. Last Thursday, 9th April 2015, Obama met with his international health and national security teams to discuss what more can be done to get to zero Ebola cases in West Africa. President Obama was updated by his advisors on the situation in the West African region, and was briefed on measures currently underway to end the epidemic in Sierra Leone and Guinea. Sierra Leone Telegraph’s Political Analyst, say that with Obama’s appraisal of the crisis last week by his team, there is no need for him to meet with president Koroma and, or the two other Mano River Union leaders this week in Washington. But there are far more serious underlying issues regarding president Koroma’s waning integrity and international image. When Obama met his advisors last week, he emphasized the urgency of getting to zero, and directed his team to stay engaged with the countries to prevent future outbreaks from becoming epidemics. He reiterated that the U.S. Government will continue the fight against Ebola until all cases in the affected countries are contained. But disappointed supporters of the Koroma regime were hoping that Obama would invite Koroma to the White House, as a symbol of Obama’s approval of Koroma’s governance performance. Thousands of concerned citizens of Sierra Leone living in the USA, held a peaceful protest at the White House Lafayette Park in Washington last Saturday, following Koroma’s recent unconstitutional decisions – including his sacking of the country’s elected vice president, which many in Sierra Leone regard as undemocratic and dictatorial. 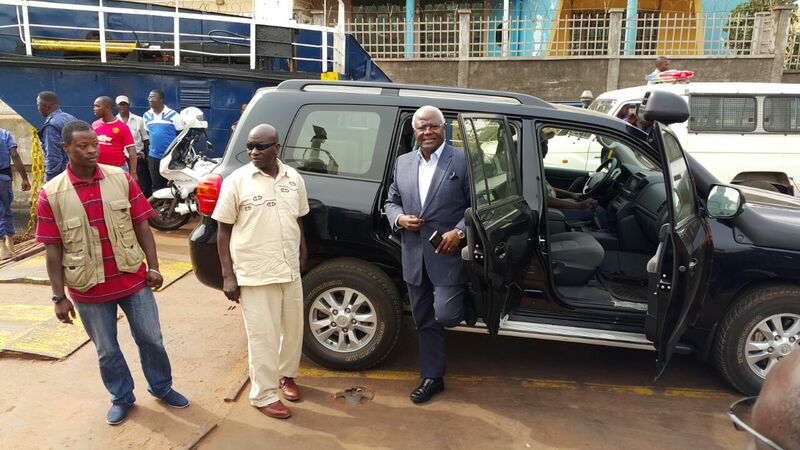 “President Ernest Bai Koroma, accompanied by a delegation of 21, left Freetown Sunday on his way to attend a high-level meeting on the Ebola crisis during the World Bank Group and the International Monetary Fund Spring Meetings in Washington DC, United States of America. “The objective of the meeting is to hold fruitful and action-oriented discussion on how to help the Mano River Union (MRU) get to and sustain zero Ebola cases, advance recovery efforts, and build greater resilience. “The event will gather the presidents of Guinea and Liberia, as well as the International Monetary Fund Managing Director Christine Lagarde, the United Nations Secretary-General Ban Ki-moon, the African Development Bank President Donald Kaberuka, and a select number of ministers from partner countries and heads of development partner organizations. “President Koroma is also expected to deliver a call to action at the first Global Citizen 2015 Earth day ceremony. This event, co-sponsored by the World Bank Group, will bring together world leaders, celebrities, high-caliber musicians, artists, and thousands of citizens on the National Mall. “According to the World Bank Group President Jim Yong Kim, their aim is “to raise awareness and inspire action on critical sustainable development challenges” facing the world today. President Koroma and his government are yet to account for more than $14 million of funds meant for the caring of Ebola sick patients and those dying of the virus in Sierra Leone. This has seriously and irreparably damaged the image of the Koroma government. Furthermore and perhaps more importantly, at a geo-political level, it is clear that president Koroma and his government have shot themselves in the foot, by overtly pitching tent, lock-stock-and-barrel, with the Chinese government in Beijing and the Chinese Communist party, which is also a patron of the ruling APC party in Sierra Leone. Analysts believe that the Chinese will be in full control of more that 85% of Sierra Leone’s economy and natural resources – including iron ore, agriculture, fishing, and tourism, and infrastructural development, by 2020, should Koroma’s ruling APC party win the 2018 elections. It seems Obama has become distrustful of the government in Freetown, for its continuing breach of civil liberty, poor governance, corruption and communist style dictatorial tendencies. So, no entertainment of Koroma’s dictatorship and unconstitutional behaviour by Obama at the White House, despite his visit to Washington this week? What is clear, is that the White House is sending out a clear message. Those in and out of Sierra Leone that have stood up against Koroma’s dictatorship and bad behaviour, have today been rewarded by the White House for upholding civil liberty and constitutional freedoms. And should the Supreme Court Judges stand up for justice, the rule of law and constitutional jurisprudence, in their ongoing hearing of the court case regarding Koroma’s violation of the constitution, they too will be rewarded by posterity, as well as earn the respect of their fellow citizens and the international community. Some of you people must learn to respect president Koroma. Our president has been ordained to lead us and we must show him reverence. If he does not go to white house so what. Afterall President koroma has more wealth than Obama will ever dream of earning. Obama is only jealous so please show respect to President Koroma the best leader in Africa. Usu Kamara, wow, I do not know where to begin. Suffice it to say that leaders are not ordained. They are elected by the people to serve them. Google the word ordain and you will see the meaning. As for the remark that Ernest Koroma is wealthier than President Obama, and therefore this makes President Obama jealous. So the so-called wealthy leader comes cap in hand to beg for money from the poor guy. Interesting. Can I just ask you where Ernest Koroma got his wealth from. He may be wealthier than President Obama now, but simple math and logic will show that he acquired his wealth by corrupt means – i.e. diverting the resources of the country to his personal use. On the other hand, President Obama earned his wealth honestly. He had written two best sellers before he became President and that made him a millionaire, and his wife also earned close to half a million dollars as an Attorney. The US president is also paid many times more than the Sierra Leone leader. So respect is due to the honest leader who is working hard for the benefit of his country-men. In a civilized society money does not earn you respect, honesty and good deeds are what accords you respect. In a previous reply about corruption, Usu Kamara, you noted that President Koroma was deep in the neck in corruption. Yet you are admonishing Sierra Leoneans to revere him – as he is ordained to lead. You seem to have a perverse and twisted logic. You and your ilk are the reasons why Sierra Leone is in such a bad place – because essentially in your wisdom, President Koroma and his cronies are somehow entitled to be corrupt and even though we are aware of how deeply corrupt they are – in your view, they should still command our utmost respect and reverence. Sierra Leoneans must wake up and smell the coffee. Obama is right not to welcome Koroma at the White House. It will be very odd indeed, after all the protests over there in the USA by concerned Sierra Leonean citizens against Koroma the dictator, for the leader of the liberal free world – Obama to shake hands and wine and dine with Koroma, who has now shown the free world that he is nothing but a closet communist style dictator. he has shown his true RED color. 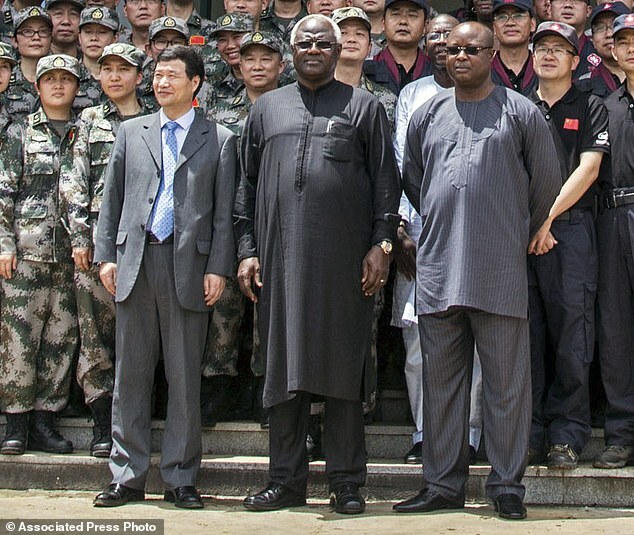 This APC government here in Freetown is nothing but a stooge of the chinese government in Beijing. Soon Sierra Leone will become like Bashir’s Sudan, where freedoms have gone out of the window. Thank you President Obama for standing with the freedom loving Sierra Leoneans who matched on our behalf over there last Saturday. President Koroma cannot be trusted, and he is no longer a president the west can do business with. He has sold our country to the chinese for coco ebeh, or did someone say fried seaweeds. What is really scary about this Chinese Communist Party and APC political fraternity is that it has all the hallmarks of totalitarianism written all over it. Today we see APC justifying the autocratic behaviour of president Koroma in sacking an elected vice president. So whats next? Well soon we will see Koroma deciding to use his parliamentary majority to change the constitution so that he can stand for presidency for the third time in 2018. This too, will be followed by a declaration of the return to an APC one party rule in Sierra Leone. Call them whatever you will, what is obvious and has been so is that APC and the Chinese Communist Party are in bed together, hence the appointment of a communist orientated vice president – Victor Bockarie Foh. The Chinese mafia are seriously consolidating their power in salone. God help us here. Did EBK leave the illegally appointed Foh in charge of the country during his absence? What are the implications for illegally firing, then illegally appointing, then illegally leaving an unauthorized person in charge of the country. This is good news for honest and patriotic Sierra Leoneans. 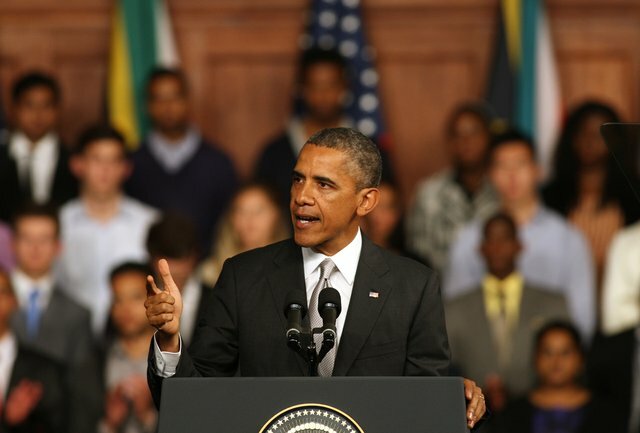 President Obama is finally responding to cries of honest Sierra Leoneans who have long called upon him not to associate with corrupt leaders like President Koroma. I find it very hard to imagine how a country like Sierra Leone will afford to finance a delegation of twenty one people including the president to the US, while majority of Sierra Leoneans are struggling to get a meal a day. This is complete and utter misuse of public fund on a scale very hard to imagine; how many speakers, secretaries, support staff and messenger boys does president Koroma need whilst he is in the US? Our leaders will never change; the same APC yesterday, today and tomorrow. We Sierra Leoneans need to pray for strong and accountable institutions and for leaders who respect Rule of Law. We have to put our tribal and ethnic differences aside and elect governments that are honest and transparent. We have to stop the practice of ‘praise singing’ and from treating our leaders as if they are ‘Demi-Gods’. President Koroma and his ministers are only there to enrich themselves and their families; these people should be held accountable for their actions and the international community should stop bank rolling them.